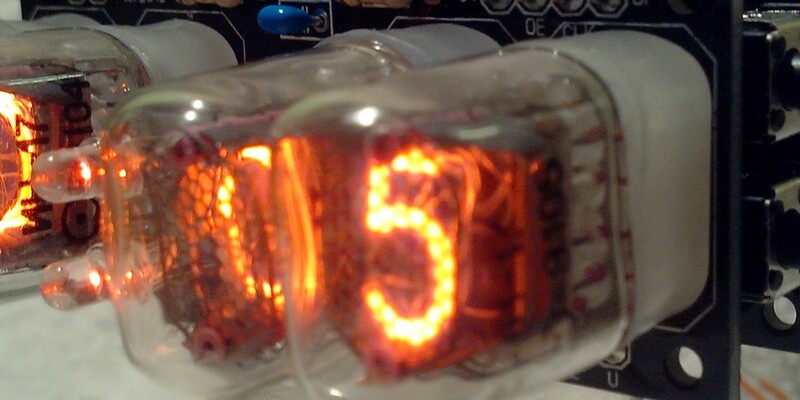 Re-designed Nixie Clock, based on IN-17 Russian Nixie Tube. 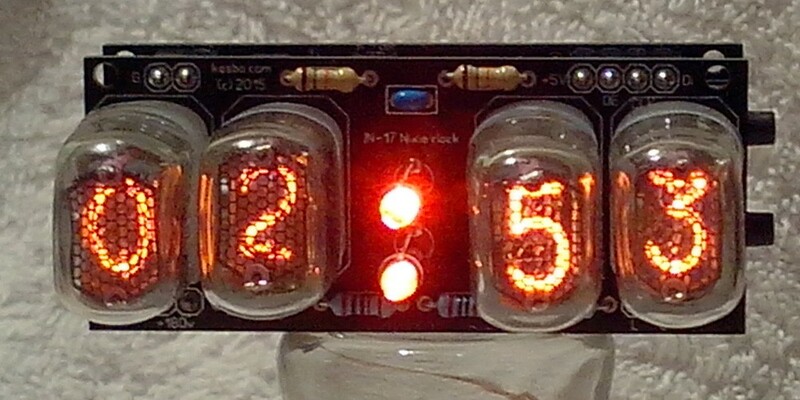 This clock displays: Time, two Alarm Sets, Date and blank info. Optimal compact design allows you to integrate this clock in furniture at home and/or a small office environment. 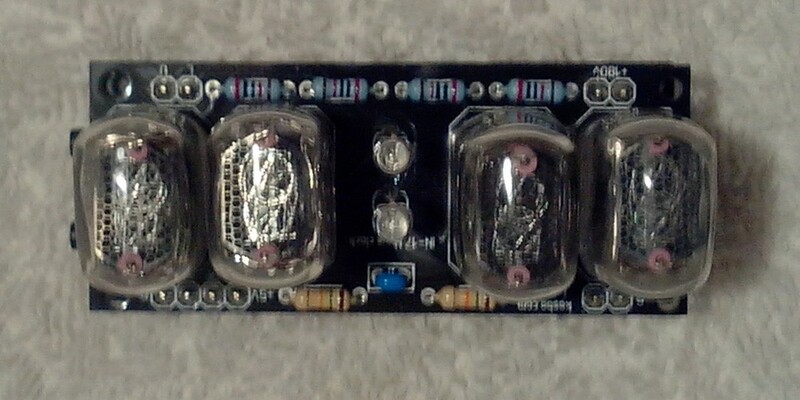 the internal buzzer will generate the alarm even if main power is off. 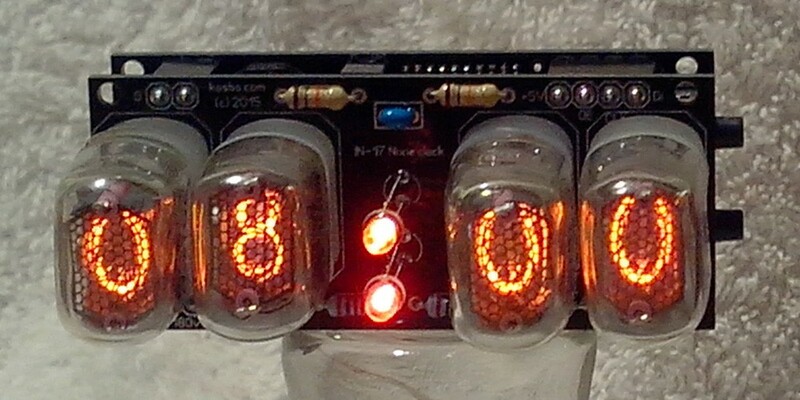 Newly designed IN-17 Nixie Tube Clock for your attention ! 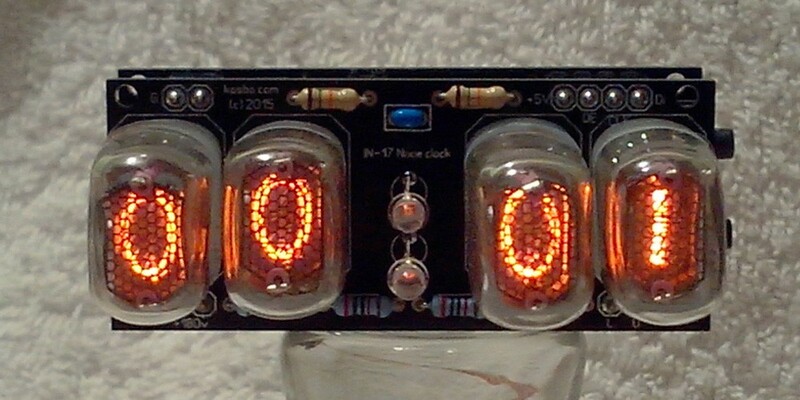 It's fully assembled working 4 digits IN-17 Russian Nixie tube Clock, giving you chance to concentrate your efforts on the case design! 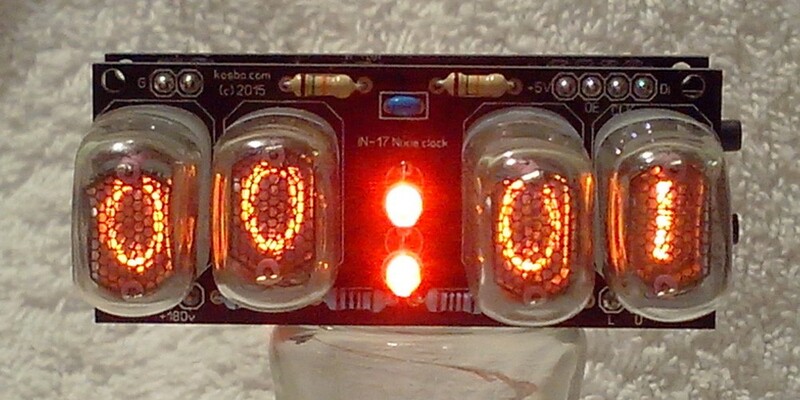 Clock works from 9 to 12V DC, but 9V supply is recommended choice. 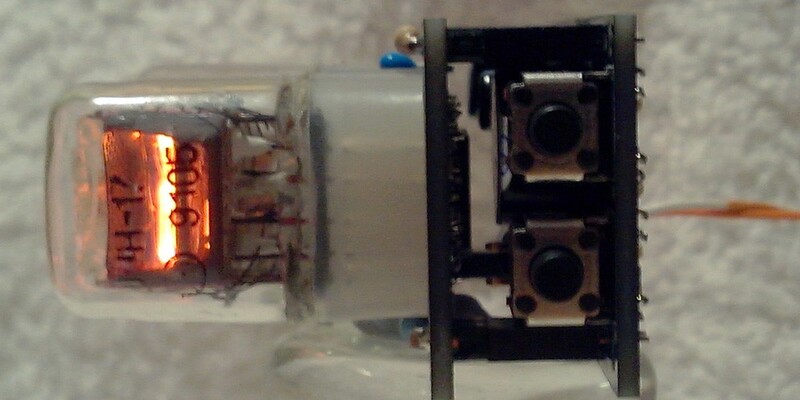 Power consumption: 2.4W (200mA@12V) from wall plug power supply (all digits to display) 2.3mW (0.75mA@3V) from backup supercapacitor. 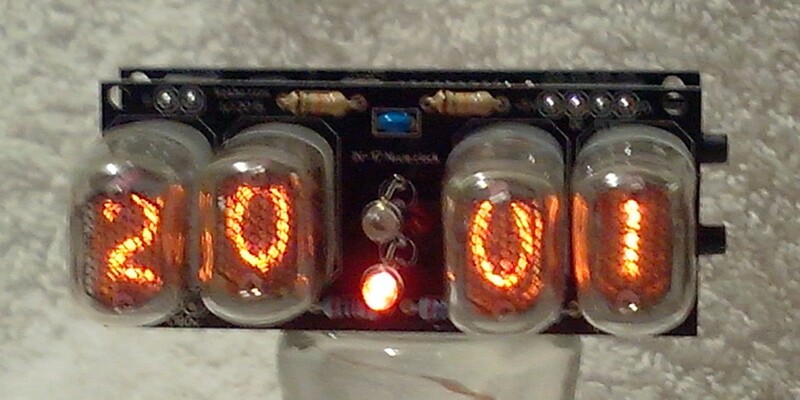 Please feel free to ask me any questions regarding this Clock. I'll do my best to respond to you within 24 hours. 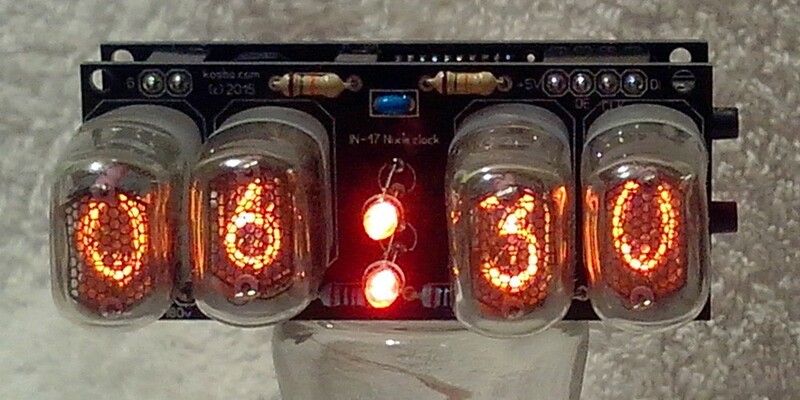 Fully assembled working IN-17 Nixie Clock, four IN-17 Nixie tubes are INCLUDED in this sale! 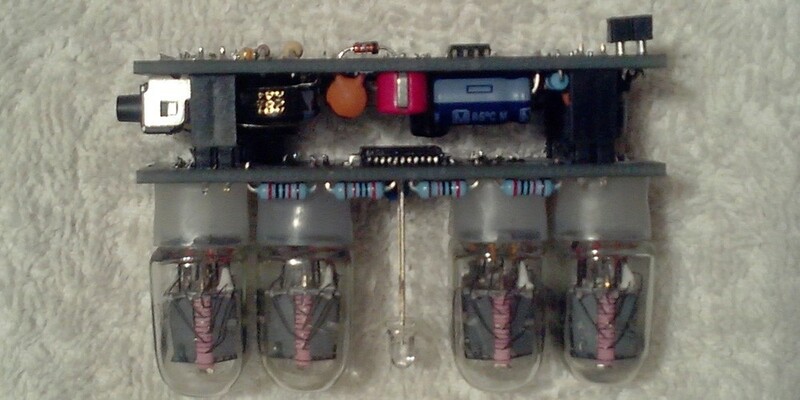 To make this Clock functional, Power Adapter is only extra needed. 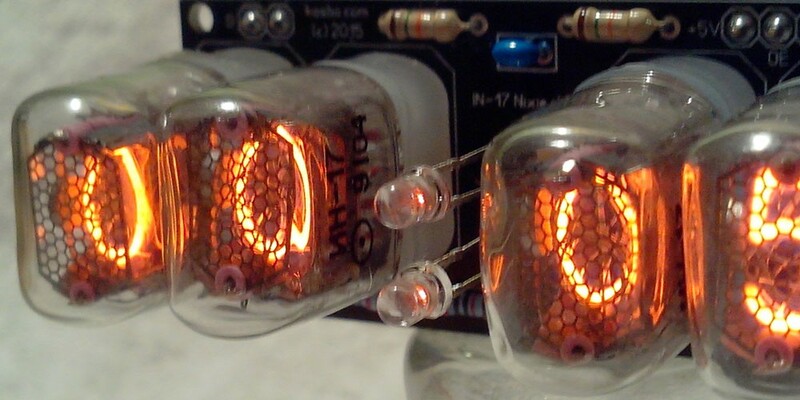 Power Supply is available at extra £7-00 GBP for the UK, Europe or USA Customers. 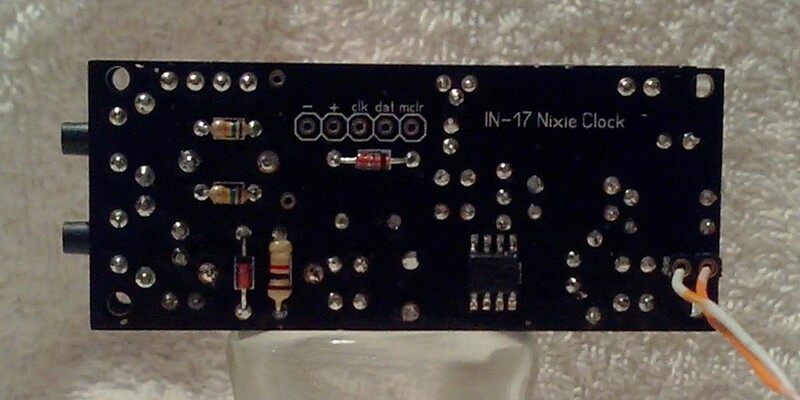 I'll dispatch your Clock within 2 working day after I receive your payment.